Reminiscent of the towns in northern Italy, Lake Las Vegas Resort is tucked into the desert’s mountainside just 17 miles from the famed Las Vegas Strip. Descending from the mountains to the serene water’s edge, Lake Las Vegas Resort is a spectacular resort-style oasis offering both guests and residents an unparalleled experience centered around the 320-acre private lake. The 3,592-acre premier, Tuscan-inspired destination highlights world-class resort hotels, including the AAA Five Diamond rated The Ritz-Carlton, Lake Las Vegas, Loews Lake Las Vegas Resort, and the charming MonteLago Village Resort. 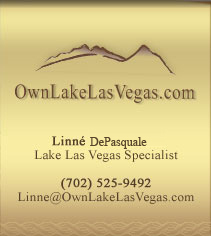 Among Lake Las Vegas Resort’s wealth of amenities are a collection of three challenging signature golf courses, pampering spas, gourmet restaurants, elegant casinos, a convenient helipad, a full service marina with watercraft rentals and yacht cruises, luxury residential offerings, and MonteLago Village, a bustling enclave of shopping and dining. Venture into an unexpected oasis where the desert gives way to a sparkling lake and gleaming white beach. Opened in February 2003, The Ritz-Carlton, Lake Las Vegas is the first Ritz-Carlton in Nevada, and was awarded the prestigious AAA Five Diamond rating after less than a year of operation. Situated adjacent to the quaint MonteLago Village, the deluxe resort’s relaxing, lakefront locale and Mediterranean-inspired town setting complement an extensive choice of Ritz-Carlton resort facilities and activities. The Ritz-Carlton, Lake Las Vegas, features 349 luxurious guest rooms including 35 suites, the 30,000 square foot spa, extensive meeting & function space, and an award winning Restaurant, Medici Café & Terrace. An exclusive selection of 64 Ritz-Carlton Club rooms and suites, including the 2,400 square foot Ritz-Carlton suite, occupy the second and third levels of the Pontevecchio-style bridge spanning Lake Las Vegas, offering water and mountain panoramas and the signature services, privacy, and upgraded amenities of The Ritz-Carlton Club. Situated on 21 acres of lakefront property, Loews Lake Las Vegas Resort, (formerly Hyatt Regency Lake Las Vegas Resort, Spa & Casino) is nestled adjacent to Reflection Bay Golf Course overlooking the tranquil waters of the 320-acre private lake. The hotel’s branded services and amenities, which exceed AAA Four Diamond standards, delight guests with a supremely comfortable, uniquely local and vibrant travel experience. Loews Hotels' first property in Nevada, Loews Lake Las Vegas Resort offers 493 guest rooms & 46 suites with sweeping views of the lake & mountains. New service standards are added, such as twice-daily housekeeping service, vibrant lobby entertainment and complementary welcome beverage. The services and amenities complement Loews Hotels’ popular branded programs, such as Loews Loves Kids, Loews Loves Pets and Breakfast at Loews, as well as its innovative partnership with toymaker Fisher-Price. The resort has four restaurant options, including the acclaimed Marssa for Pacific Rim-inspired cuisine, a 9,000-square-foot spa, and a children’s camp facility. Recreational diversions include two swimming pools & two championship golf courses. And, an adventure concierge is at every guest's disposal. Located in the heart of MonteLago Village, steps from shops, galleries, restaurants, and the casino, MonteLago Village Resort is a unique lodging option for guests at Lake Las Vegas Resort. Managed by Intrawest, four floorplans of luxurious, fully- furnished studio, one, two, and three- bedroom condominiums are available for use to Lake Las Vegas Resort guests. The Tuscan villa-inspired resort-condominiums feature stepped tile roofs, pastel walls and handset stone flooring With amenities such as 24-hour guest front desk reception, concierge services, daily housekeeping, in-room coffee makers with gourmet coffee and tea, full kitchens, high speed Internet connections, in-room DVD players you may never want to leave your suite. Other amenities include three pools, two spas, fitness rooms, game room, meeting rooms, and business center. Anticipated to open in 2012!